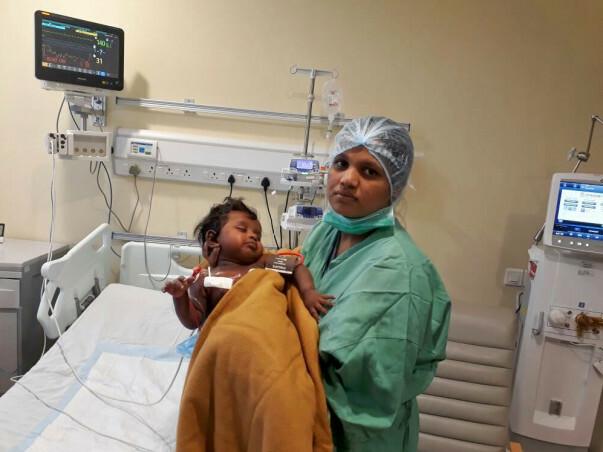 Divya's 5-month-old baby boy is in a very critical condition due to a life-threatening disease called Combined Immune Deficiency. Immunodeficiency (or immune deficiency) is a state in which the immune system's ability to fight infectious disease and cancer is compromised or entirely absent. If not treated immediately it can become fatal for the patient. Divya is extremely worried about her child's life as she has already lost a child to the same disease. The only treatment for this is for the child to get a bone marrow transplant. Divya has agreed to be the donor. Unfortunately, the total cost of the treatment which is close to Rs. 18 lakh is far too expensive for Divya and her husband to afford. She is scared that without this treatment she will lose her yet another child to immunodeficiency. 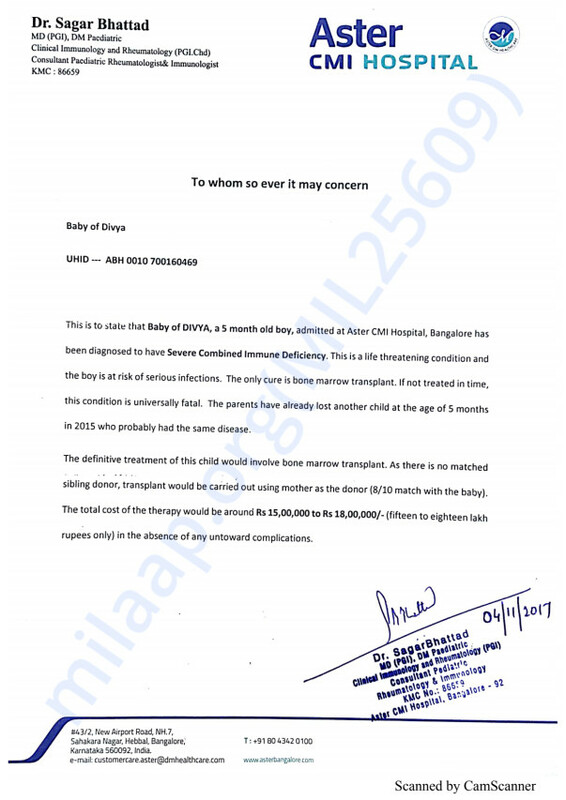 Your contribution can save Divya' son's life and give him the treatment he deserves. Please help save Divya's baby. Thank you for the wonderful support that you have shown towards Divya's baby. Apologies for the delay in informing keeping you updated. He doing better now compared to earlier and has successfully completed the first phase of the treatment. Thank you all once again. Please do pray for his health and speedy recovery. Will keep you posted. Thank you for all the love and support you have shown my son. He is doing better now compared to earlier. He is able to consume food orally and we got discharged from the hospital on 6th December. We go to the hospital every week for follow up's and the doctors are really happy with the progress that he has made so far. Thank you all once again for your support. Your blessings and love helped him in recovering faster. Please pray for his health.